The House of Commons has cleared the way for the Prime Minister to trigger article 50 at the end of March 2017, however, what happens next for EU citizens living in the UK post Brexit? Here, Dr Lindsey Garratt and Dr Kitty Lymperopoulou from The University of Manchester recount the recent Migrant Families in Europe conference and discuss the associated policy issues and their plans for influencing decision makers throughout the Brexit process. Two amendments suggested by the House of Lords have been rejected, including the protection for EU citizens’ rights to remain in the UK. EU citizens living in the UK and their families are facing the prospect of increased restrictions and barriers to live and work in the UK. But despite the significance of families in the movement of populations to and within Europe, current debates on migration are rarely discussed from the perspective of the family. To address this Centre on Dynamics of Diversity hosted a two-day conference entitled ‘Migration and Families in Europe: National and Local Perspectives at a Time of Euroscepticism’. Our aim was to bring together scholars, practitioners and policy makers from the UK and Europe to discuss the complexity of migration and what it means for families in the current political climate. The theme of this two day conference was ‘migration and families’ to purposively broaden discussion beyond family migration, which has tended to be defined as migration for family unification only. The first day focused on conceptual and methodological challenges in researching migrant families. These ranged from cross-national surveys, longitudinal and case study methods, to participatory arts and social action research. Our methodological keynote speaker Helga de Valk (NiDI) highlighted the need for comparative studies and a life course approach to provide better insights into the family dynamics of migrant families. A number of challenges were also raised. These related to existing data limitations, difficulties in defining families and the challenges of using different datasets at country level and for cross-country studies. In this ‘post-truth’ age it is even more important that our methodological approaches are robust and innovative as scepticism surrounding ‘experts’ presents challenges for future migration research. On the second day the focus shifted to substantive issues at play in terms of policy and practice and the experiences of migrant and refugee families including those of children and elderly parents. While the conference had a wider remit than family reunification, this was undoubtedly a major theme. The multitude of legal and policy issues related to families and their mobility were highlighted in relation to family reunification policy at both a European and nation state level. The legal positions of couples, where one person is an irregular migrant was elaborated by Betty de Hart (University of Amsterdam) and Johnathan Darling (University of Manchester) explained how family life is governed in the UK by the asylum dispersal system. Sue Lukes (MigrationWork CIC) also outlined the ways child migration has been framed in policy and public discussions in relation to housing. Eleonore Kofman (Middlesex University), the conference keynote speaker for day two, discussed the increasing restrictions on family members’ migration and the implications this has for families. These discussions made it clear that legal and policy restrictions have a profound impact on families, particularly those outside of the nuclear definition of the family. Indeed another major theme of the conference was the narrow definition of ‘family’ in policy terms which often means adult children and elderly parents are left without support. For instance, elderly care and care by the elderly has become a particularly pressing issue. Eleonore Kofman (Middlesex University) highlighted that bringing over one’s parents to care for them in old age or to be a support for one’s own child care responsibilities is becoming untenable. Moreover as Chris Phillipson (University of Manchester) and James Nazroo (University of Manchester) discussed, migrants who have grown older in the UK are often experiencing social isolation, particularly since they tend to live in deprived areas and experience poorer health than their White British counterparts. How families have been used as symbols surrounding migration was another main focus of the conference. Saskia Bonjour pointed out that families are often burdened with representations as regressive and in conflict with so called ‘integration’. This is something Daniela Sime (University of Strathclyde) highlighted in her exploration of the racialisation of Roma Children in Glasgow and Nando Sigona (University of Birmingham) examined how narratives around children come into play in the denaturalisation of asylum seekers crossing the Mediterranean Sea. Louise Ryan (University of Sheffield) picked up on this tension in her discussion of children and social networks. At a time when the term ‘integration’ has become so symbolically damaged, Ryan’s focus on ‘embeddness’ provided a useful lens through which understandings of migrant families within the UK could potentially be reframed. The conference also highlighted the lived and affective experience of migration which is perhaps most keenly felt when we think of it in relation to the family. Alice Bloch (University of Manchester) took us through how the second generation often experience the stories and silences of their parents refugee experiences and how these past events echo in family histories. Melanie Griffiths (University of Bristol) mirrored some of these issues by describing the difficulties precarious male migrants experience in the UK. Anya Ahmed (University of Salford) examined affect from the other side of migration, that of elderly migrants from the UK living in Spain who try to negotiate transnational intergenerational family relationships. A recurrent theme throughout the two days was the disconnect between policies and practices relating to migrants and the experiences of migrant families in Europe. The conference highlighted the tendency of public and policy discourses to view migrants as a monolithic mass of simply economic agents rather than as family and household units. As the government enters into Brexit negotiations about the rights of movement of EU citizens and settlement in the UK, it is the interests of families that need to be understood and protected. Despite the innovative and exciting research outlined at the conference there is still a lot to learn about the experiences of migrant families across Europe. For this reason, we are developing a European Network examining migration as it relates to families. Our aim is to be present throughout the Brexit process and beyond to remind decision makers of the families their choices are affecting. The Network will create a platform to share and critique research, practice and policy across Europe. Upcoming activities include a planned seminar series to increase our understanding of empirical comparative research on family migration and a special issue on methodological issues in researching migration and the family. Our overarching objective is to highlight how families are shaped and constructed through policy and practice and reframe the often salient ways migrant families have been understood in relation to diversity, cohesion and the rising tide of nationalism across Europe. To find out more join the network. Researcher with the Centre on Dynamics of Ethnicity (CoDE) at the Cathie Marsh Centre for Census and Survey Research, University of Manchester. 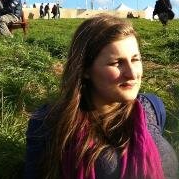 Dr Lindsey Garratt is a research associate with the Centre on Dynamics of Ethnicity [CoDE] in conduction with the University of Glasgow.